Tradition. That single word is loaded with so many meanings and interpretations. Most of them start with friends and family members gathered around the table or doing a fun event together. 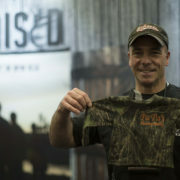 But in this case, we’re specifically talking about the family hunting tradition that’s so strong at Raised Hunting. When a father, mother, and children can all get together and do anything these days, it should be appreciated. But when they all willingly choose to spend their limited spare time with each other outdoors in some potentially miserable conditions, then we’re talking about something really special. How do these traditions start? What keeps them together instead of falling by the wayside in the face of hundreds of modern distractions? Let’s explore this a bit further. Hunting as a family is by no means a new tradition. In fact, it used to be one of several traditional American family values. But the rise of modern civilization and agriculture offered many “conveniences” that ultimately made hunting less important for families. As a result, it dropped away in popularity or practice for many years and it is just now making gradual comeback. So whether you want to call this resurgence in the family hunting tradition an old one or a new interpretation of it, it doesn’t change the fact that it’s extremely essential. 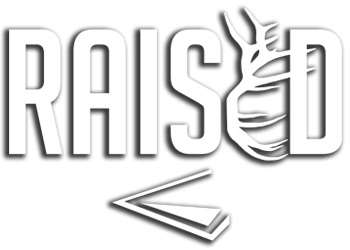 (Video) – Raised Hunting is heading into year two. Come along as they take you on the continuous journey of life. Why Are Family Traditions Important? You might wonder why family hunting is such a big deal to begin with. Well there are several reasons. First, spending time with a group of like-minded individuals helps build a community of trust and belonging, which is critical for young children to feel. But it’s infinitely more important for them to feel supported and guided by their parents. Likewise, it gives parents another way to teach and spend time with their kids. They grow up very fast, so taking time to do those things while they’re younger will cement them in place for the future. Speaking of which, many families have strong deer camp traditions that have continued for generations after they started. Usually, they consist of getting extended family members together each hunting season to camp out in tents, trailers, ice houses, or shacks. Old relations recall details of past hunts, catch up on life, and make plans for the next day’s hunting activities around a fire. And sure, maybe a tall tale is occasionally told. Traditions like this start with simply inviting everyone out during the hunting season to enjoy some family time. It doesn’t take much effort, but they will quickly become one of the longest-lasting and most treasured family memories you’ll have. Also, spending time together hunting means that all parties get a break from today’s technology. Whether we’re referring to our cell phones, work emails, video games, or social media, we all need to unplug once in a while to reduce mental stress and reconnect with nature. There’s no better way to do that than watching the sun come up and hearing the forest come alive within a blind or tree stand with your family nearby. That being said, there are a lot of technological advances that have helped the hunting community tremendously, with scent-eliminating Scent Crusher products, trail cameras, and advanced Nikon optics to name a few. The difference is that these items are being used as part of the overall hunting approach and not to just mindlessly scroll through the latest updates from long-lost high school classmates. When you’re in the woods with the family, especially teenage children, make it a point to lead by example. Focus on teaching a new tracking skill instead of checking for messages on your phone. Additionally, the hunting tradition is so critical for us to carry on to the next generation because hunter recruitment and retention are serious issues in today’s world. The simple fact is that hunters are some of the world’s best conservationists, spending millions of dollars each year to support wildlife management and habitat conservation work. As the traditional hunting crowd ages, there’s a noticeable lack of younger hunters to fill this void. With fewer hunters buying licenses and specific wildlife stamps/initiatives, there will be fewer dollars to spend on keeping our wildlife populations healthy and balanced. That means our great American tradition could slowly disappear. By getting children involved at a young age and taking your family hunting as often as possible, you can teach them about the critical function they could serve to help continue the tradition. 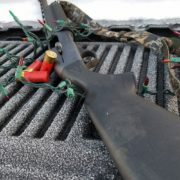 Hunting traditions could include most activities from the planning stage to actual field adventures. You probably already have a few of these types of family traditions at home, but here are some ways you could start one if not. First, know that just one really fun event can get everyone so engaged and excited that they can’t wait to do it again. Just one fun day in the woods. Maybe they’d like to repeat it tomorrow, next week, in a few months, or next year. It all depends on what the activity is. Here are a few example traditions that you could try out at home with your own family. 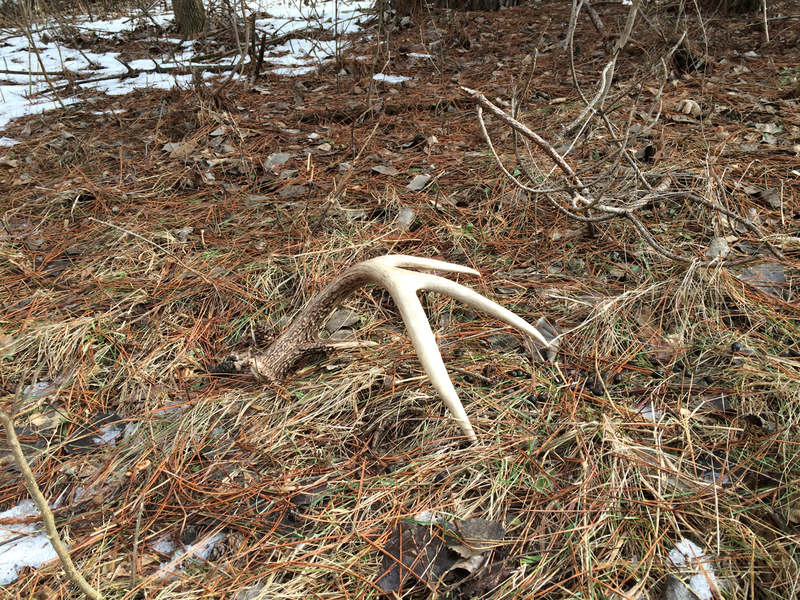 Each spring, make it an annual tradition to go shed hunting as a family. It’s a great way to spend a beautiful spring day and burn some energy after a winter off. Make an entire day of it by bringing along a picnic if the weather’s nice enough. You could all take bets on who’s going to find the biggest shed, the most antlers, or the weirdest find. Kids usually love these kinds of competitions. And you might find it pretty fun yourself. One of the most basic family hunting traditions you could start is a family bow practice session with your Bear Archery bows. Pick a designated day of the week from spring through hunting season to all carve out thirty minutes to fling some arrows at targets. You can make it fun and keep your kids’ attention by developing some archery games. Most kids love a little competition, especially if there’s a friendly prize in it for the winner. 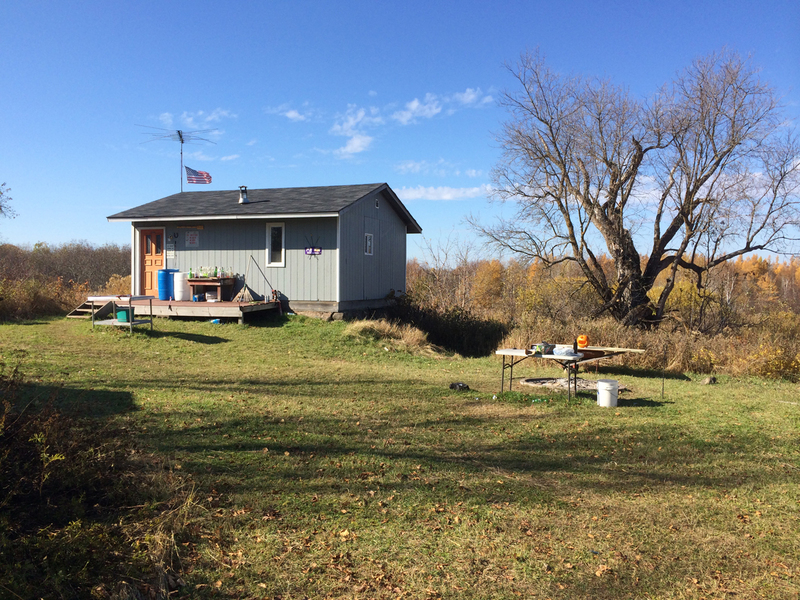 If you’re a landowner or lease some property where you can plant food plots as a family, make a tradition to all head out to the farm to get some work done. Get your family involved in the process by letting them choose the seed mix for an experimental plot you rotate every year. If they’re interested, let them help plan new plots with you. And definitely let them help with the work if they’re still excited about it! After your food plots have started growing, you could all head out on a Friday night to glass the fields for bucks. If it’s a longer drive, make sure to bring some snacks to keep everyone happy along the way. Maybe treat them to ice cream on a particularly hot summer day. A little bribery won’t ruin them. If you’re planning on doing some family hunting trips next year and would like to make it an annual event, gather everyone around the table to plan out the details. Talk about the clothing you’ll need, the route you’ll take, the animals you’ll be hunting, and any other relevant topics. By including the whole family in the discussion, it will help everyone to feel like they’re part of the group. There are lots of family friendly hunting lodges out there that offer family hunting vacation packages. Take advantage of them while you can, because schedules will only get busier over time. Here are a few other recommendations that would help in your pursuit to build a new tradition. Make sure to take lots of pictures and videos to document your family adventures. There’s nothing quite like looking back at your family’s memories. Think about how special it is to you if you can view pictures of your grandparents and great grandparents doing the same activity from many years prior. It allows you to reflect on what’s changed over time and what’s stayed the same. You might be surprised. Similarly, you should keep a short journal of your family tradition activities. Just like the pictures, it allows you to recall in vivid detail the outcomes of any specific hunting trip or outdoor adventure. Small, but important, details can easily disappear from our memories within a short period of time. After only a year, you’d be surprised at what you forget. But recording the basic details (e.g., who, what, when, where, etc.) in a notebook or on a computer can allow you to look back on a hunting trip from ten years past and recall the memory without any problems. Above all, you need to keep things fun while doing all of this. Don’t turn scouting trips into forced marches, and don’t be too critical. If your kids want to rest and do an impromptu snack break, join them! If you can let loose and all enjoy some laughter, you’ll be much more likely to form a lasting event that you can continue throughout your life. Why Do These Traditions Work? We asked earlier in the article why certain traditions stick, while others simply fade away, doomed to be a one-time event. Let’s expand on that a little more. It’s easy to ignore the importance of family traditions sometimes. Work, school activities, and other events get in the way and we can lose track of time pretty easily. But when you elevate activities into a true family tradition, it takes on a new meaning. It becomes a special time that nobody wants to miss out on. It becomes a special and cherished memory. The tradition of hunting is a perfect activity for families to do together since it can involve anyone. All you need is some open space and willing family members. By starting these activities while your kids are young, they can develop unique lifelong skills that they’ll appreciate forever. And as we discussed earlier, life will get in the way unless we fight back and carve out some time for tradition. Don’t wait any longer. I like your idea of keeping a family hunting journal in addition to taking pictures to help preserve the memories that you make together. My husband loves hunting, so we’ve been thinking about taking the whole family to a hunting ranch to learn about the activity. I’ll definitely take your advice and keep a journal of our new family tradition!